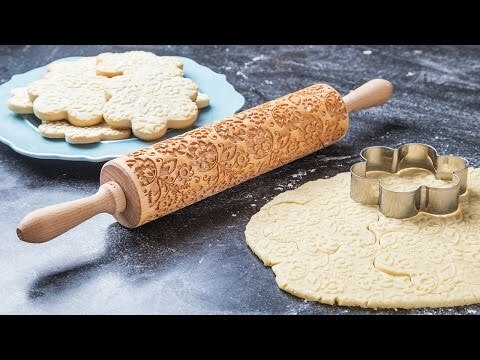 The intricate grooves on this larger embossing rolling pin put ornate patterns on your baked goods. Each heirloom-quality pin is made from laser-cut Beech wood. You’re only a roll away from giving your treats a professional-looking finish. This Will Become A Family Heirloom! Made in Poland, Valek wooden rolling pins are a roll in the right direction. They give your baked creations an ornate finish. Roll the pin over fresh dough once. The laser-cut grooves on the Beech wood emboss intricate designs. So when you take your cookies or pies out of the oven, the indentations transform into crisp golden patterns. You can even use one of the pins on fondant to make a finished cake look bakery bought. Maker Zuzia Kozerska really enjoys baking but wanted to achieve professional-looking decorations in less time. Her sister pointed her in the direction of some vintage rolling pins, which explains why Valek’s pins have an heirloom air to them. Countless batches of cookies and pastries later, Zuzia fine tuned the recipe to effective embossing with her final design. 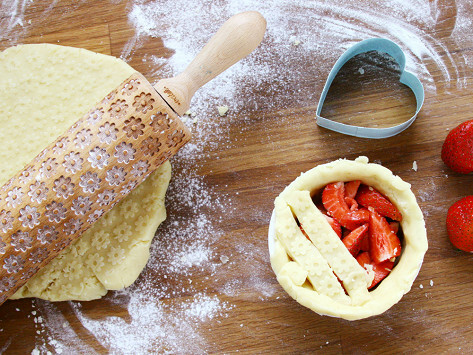 Now anyone can embellish their baking, beautifully.